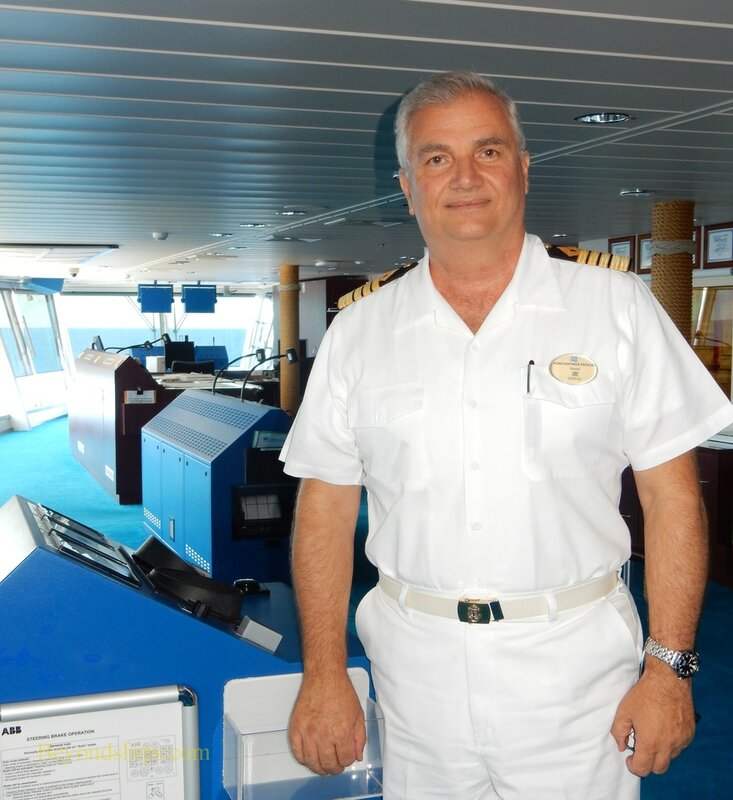 At the time, Royal Cruise Line was an affiliate of Norwegian Cruise Line and in 1997, Captain Fafalios, who is from Greece, was asked if he wanted to become a captain on Norwegian. Immediately before taking command of Norwegian Gem, Captain Fafalios commanded Norwegian Jewel and Norwegian Star, two similar, medium-size cruise ships. Especially in the winter, guests also like the fact that Gem can transport them down to the warm weather relatively quickly without taking an airplane. But once again from a nautical perspective, this is something that is not as simple as Gem makes it look. To illustrate one way how the ship's speed is utilized, say the ship is going from Tortola back to New York City. In order to cover the distance in time to arrive on schedule, the ship must average a certain speed. “If we see a low pressure system [ahead] we try to do the maximum speed before we reach [the storm] and then there, the required speed has dropped.“ The speed can then be reduced, making for a more comfortable ride while still allowing the ship to maintain its schedule. While the convenience of sailing from New York and the fine nautical qualities of the Gem contribute to her success, they are not most important ingredients.